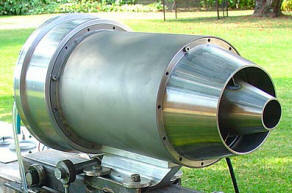 The Daemon is a powerful, but very compact turbojet engine that can power a wide variety of vehicles for land, air or water, including homebuilt helicopters, gyroplanes, boats, hydroplanes, cars, go-karts, bikes, etc. The Daemon plans have been expanded and include ALL the necessary details for building and operating this jet, including detailed lists of all parts and materials as well as sources of supplies. Please scroll down for more info and to order. NOWYOUR ORDER INCLUDES THIS INCREDIBLE BONUS! 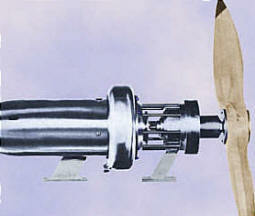 Order now and receiveat no extra cost!the complete plans for building this miniature jet engine. This fully functional miniature jet is not a toy and creates considerable thrust. Fueled by wood alcohol, the jet can be easily started from a complete standstill. Order The Daemon Plans today! Your order includes the bonus plans for building a miniature Ramjet engine! 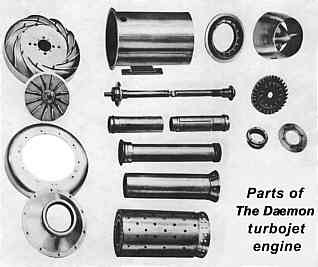 Also available: Daemon and other jet-engine kits!